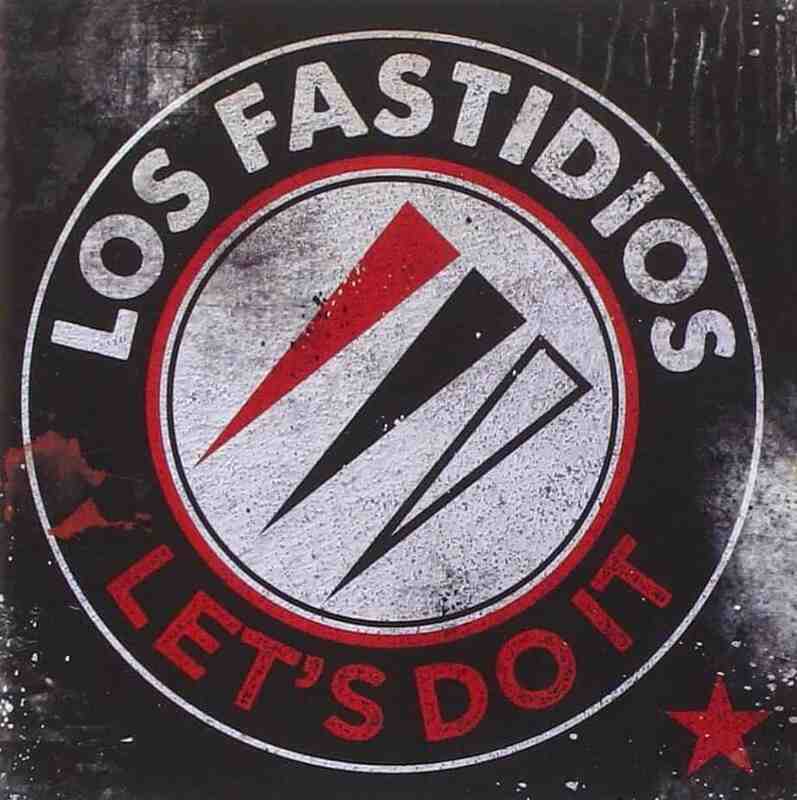 After slowing down the pace for 5 years the Italian antifascist gang Los Fastidios came up recently with a brand new full-length called "Let's Do It"
After slowing down the pace for 5 years the Italian antifascist gang Los Fastidios recently came up with a brand new full-length called “Let’s Do It”. However, you’ll hear nothing really new here, especially if you’ve been following the band from Verona throughout the years. A dozen of new songs following the same old familiar pattern of catchy and melodic mixture of punk-rock, ska, reggae and Oi!, all about militant antifascist action, left-wing politics, football, working class pride, and staying true to the Jamaican roots of skinhead subculture. Actually, “Let’s Do It!” sounds all the same next to their “Siempre Contra” (2005), “Rebels’n’Revels” (2006) and “All’ Arrembaggio” (2009) releases. The record starts with the Antifa call to action “Let’s A.F.A.” and continues in that very vein. One of the most catchiest songs on the record is “Antifa Boxer”, dedicated to the Italian professional boxer Lenny Bottai and, coincidently, the record was released on the same day (14.12.2014) when Lenny fought (and lost the match) versus Jermall Charlo on the ring in Las Vegas. Making a song about a professional sports player is also nothing new to Los Fastidios since they featured the song “Un calcio ad un pallone”, dedicated to Livorno’s football player Cristiano Lucarelli, on their “Rebels’n’Revels” LP. The ska and reggae influence is still strong on “Let’s Do It” with the songs “Skankin’ in the Ghetto” (featuring De Vegent from Red Ska), “El Presidente”, “Corri Rudeboy” (featuring Vecca), “In 1968”, “La Mia Vita”, and “Dirty Old Town”. The band is extensively touring the world ’till the end of 2015, though the singer Enrico is the only original member of the band and they are coming up with a completely different line-up on every record. Los Fastidios was formed by Enrico in 1991 as your typical Italian streetpunk/Oi! band drawing influences from Nabat, Klasse Kriminale, and Rappresaglia. The band was overtly political and outspoken since the beginning but gained a wider recognition with their prominent record “Guardo Avanti” featuring songs like “Animal Liberation” and “Rabbia dentro il cuore”, the latter dedicated to the young anarchist Carlo Giuliani shot dead and ran over by police truck during the demonstrations against G8 in Genoa, 2001. On their following records the band has drawn attention on topics such as the Zapatista indigenous uprising in Mexico and different initiatives against right-wing extremism in football. Playing bigger festivals and sharing stages all around the world with hundreds of bands from all genres and subgenres of socially conscious music Los Fastidios seems to be one of the most important punk bands in recent years, especially with the rise of extreme right-wing propaganda through the means of music and subculture appropriation by the modern Nazis. Some friends might jokingly or more seriously call them pop-Oi! but I would be rather happy to see more bands like Los Fastidios, especially being vocal against homophobia and in promoting veganism and animal liberation among the better kind of skinheads. “Let’s Do It” is released through Enrico’s own KOB Records label. Stay rude, stay antifa rebel.